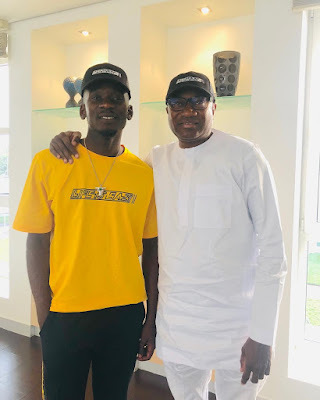 Music artiste Mr Eazi strikes a pose with his billionaire father-in-Law Femi Otedola.. Yes yes! I know he is not married to Temi yet,but..
That's his father in law jare..lets not run around in circles trying to describe things. Father in law and son in law, dassall! Lol..